Northern Illinois University’s School of Theatre and Dance’s upcoming production of “The Yellow Wallpaper,” written by Charlotte Perkins Gilman at the end of the nineteenth century, is a bold, psychological play that is still relevant, according to its guest director, Megan Elk. The play will open on Nov. 3, for one weekend only, at the NIU Holmes Student Center Diversions Lounge. Although “The Yellow Wallpaper” is considered a historical piece of feminist work, Elk says the play continues to be timely because women are still battling to have a voice. “I want women to be inspired to use their voices figuratively and literally,” says Elk. Adapted from her original 1892 semi-autobiographical short story of the same name, Gilman’s play tells the story of a new mother suffering from postpartum depression. When she is confined to a single room by her ill-informed husband to cure her, the room’s wallpaper seems to take on a life of its very own. With mysterious and eerie visions manifesting around her, the young woman begins to question her sanity. Gilman was considered a champion of women’s rights and social change in a time of massive social upheaval in the late 1800s. Through her writing and lectures, she caused people to examine women’s subservient roles in America and to question an increasing trend for the exclusively male-dominated psychiatric profession to diagnose women with mental illness, so that women’s behaviors, or lack thereof, could be controlled to a male ideal. 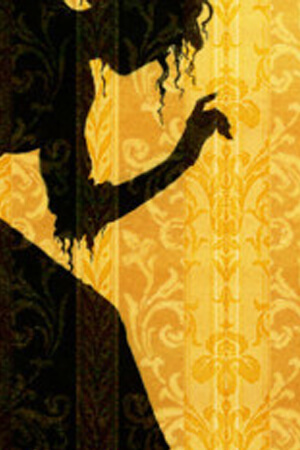 “The Yellow Wallpaper” is the story of cures that were worse than the disease. The main character experiences a very common mental health treatment of the period, total isolation and lack of mental stimulation, even being prohibited from getting out of bed without a doctor’s permission. Performances are held at Holmes Student Center Diversions Lounge Theatre, 340 Carroll Ave., in DeKalb. Show times will start at 7:30 p.m. weekdays and Saturday, with matinee performances at 2 p.m. on Saturday and Sunday. office at 815-753-1600, or online at the School of Theatre and Dance website at niu.edu/theatre.